Greece's eurozone membership was the result of a political decision because everyone was aware of Greece's economic troubles. "Even public indicators then showed that the eurozone made an absolute compromise with Greece - they neither covered the public debt criteria (the public debt level was beyond the GDP), nor covered the sustainability indicators, although such criteria formally do not exist. 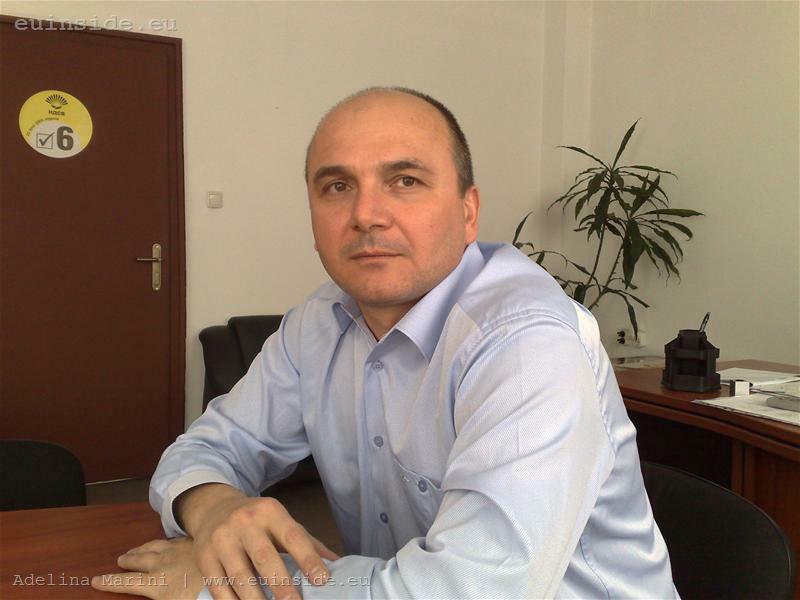 But it is explicitly mentioned that you should nominally cover the Maastricht criteria and also have requirements for sustainability of these criteria", the former deputy finance minister Lyubomir Datsov told euinside. With him we discussed the situation in Greece as well as Bulgaria's intentions to enter as soon as possible in ERMII. He added that it was very difficult to lie to the European officials about the finances of any country. Even more for Bulgaria because, as Mr Datsov explains, so far the budgets of the country were always with a surplus and it made it useless to cover up a deficit. In the same time he agrees that increasing the rights of Eurostat, raising them to auditory, is a very good idea because this would lead to deeper European integration. 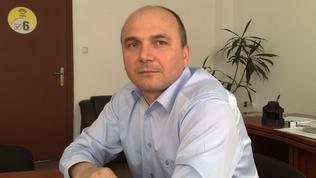 The current government is the first which indulged covering up the deficit, Datsov claims. Furthermore: "What they did, I think, is terribly stupid not to mention worth putting on trial. Firstly, they financed the hidden deficit through loans from the companies themselves - in such a way the companies were turned into creditors of the state. However, this has other more serious economic consequences because our mathematic models show us that there will be 20,000 additional job losses, aside from the trend of the crisis, a lot of bankruptcies too, additional loss of economic growth". To the question about the guilt of the previous government which planned unrealistic for the crisis budget, the former deputy minister of finance explained that in fact the most significant part of the realisation of Budget 2009 was a responsibility of the current government. According to Datsov, the biggest mistake of the finance minister Simeon Dyankov was his decision right after he took office in the summer, to return VAT to companies which added some 160 mn levs (82.05 mn euro)directly to the deficit. But he admitted that the government of Sergey Stanishev took in advance 420 mn levs (215 mn euro) for assets management. According to Datsov, 400 mn versus 20 bn budget does not have any macro economic influence. On the contrary, this money stimulated the economy and softened the strike on business. And regarding the story about more commitments than the budget could pay for in 1 year, as the current cabinet is blaming the previous one, Lyubomir Datsov reminded that life did not start from the beginning with every new government. There are expenditures which have been started by the previous government, will be paid by the current and even the next one. The only spending that could be cut were consumables and partly money for assets management but, according to Mr Datsov, such a move could only deepen the effects of the crisis. "So, we don't know who did the worst thing because, yes, maybe you made some temporary savings, stopping some money - you did not spend some money so what? What have you achieved? You lost economic growth for next year because X number of companies went bankrupt", the former deputy finance minister and current deputy president of the NDSV party added. And as we started our conversation with Greece but stopped awhile to analyse whether there were any analogies with Bulgaria, later Lyubomir Datsov and I returned on a European territory to discuss the economic situation in the EU not only against the background of Greece but globally as well. According to Datsov, Europe is seriously suffering from competitiveness shortages. "You see what is happening in Asia, the US is recovering very quickly, they even control the game, so to say. And as it seems Europe is losing from the global reshuffling. Partly this is due to its incapability, let us not divide it to new and old member states, but it's incapability to have single positions and to walk with single steps. I think the creation of such important bodies where single policies and standards will be imposed, is very acceptable and is a good step forward. Therefore I welcome Eurostat to get bigger rights". Applying single standards and the equal treatment are a political problem, Lyubomir Datsov thinks. To illustrate unequal treatment he gave the example of Italy whose public debt surpasses 120% of GDP - this is even higher than the Greek which is 113% of GDP (according to the latest Eurostat data, the public debt of Italy is 105.8%, euinside). It is not a coincidence that Romania and Hungary were among the worst hit by the crisis member states - because of the high levels of public debt. Currently Hungary has 72% debt and the requirement of the Stability and Growth Pact is for 60%. Just to compare - the public debt of Bulgaria at the moment is 14.1%, according to Eurostat. This, as Lyubomir Datsov put it, soft policy made euinside to ask him too whether all this meant that the Pact is not being applied in its full capacity There were many cases when countries with excessive deficit were not fined. But the position of the economist is that sometimes it is not reasonable to fine a nation. "I think big exceptions from the Pact were not made for the last 2 years and everyone in the financial sector knows that it is very important what message you send to the market. Because without a significant problem, some additional or little exaggerated measures might harm the market much more, sending incorrect messages to the investors and this, on its part, could create new and more serious problems". In conclusion the former deputy finance minister recommended the government to benefit from the experience of the previous, especially in terms of efforts to join the eurozone. Currently, he said, the cabinet was acting on the principle "test-mistake' which was unnecessary and bad. The reason Bulgaria not to be in ERMII until now is the high inflation that accompanied the economic growth in the past years. It is not due to some kind of incompetence or incapability of the previous governments, Lyubomir Datsov reminded.